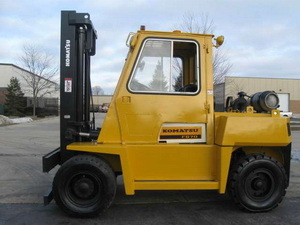 4156400 FG50T-5 KOMATSU FG50T-5 LPG/Gasoline forklift. Spare parts catalog. Service Manual. 4156401 FG50ET-6 KOMATSU FG50ET-6 LPG/Gasoline forklift. Spare parts catalog. Service Manual. 4156402 FG50T-6 KOMATSU FG50T-6 LPG/Gasoline forklift. Spare parts catalog. Service Manual. 4156403 FG50AT2-7 KOMATSU FG50AT2-7 LPG/Gasoline forklift. Spare parts catalog. Service Manual. 4156404 FG50AT-7 KOMATSU FG50AT-7 LPG/Gasoline forklift. Spare parts catalog. Service Manual. 4156405 FG50T-7 KOMATSU FG50T-7 LPG/Gasoline forklift. Spare parts catalog. Service Manual. 4156406 FG50AT2-8 KOMATSU FG50AT2-8 LPG/Gasoline forklift. Spare parts catalog. Service Manual. 4156407 FG50AT-10 KOMATSU FG50AT-10 LPG/Gasoline forklift. Spare parts catalog. Service Manual. 4156408 FG50ATU-10 KOMATSU FG50ATU-10 LPG/Gasoline forklift. Spare parts catalog. Service Manual. 4156409 FG60T-5 KOMATSU FG60T-5 LPG/Gasoline forklift. Spare parts catalog. Service Manual. 4156410 FG60ET-6 KOMATSU FG60ET-6 LPG/Gasoline forklift. Spare parts catalog. Service Manual. 4156411 FG60T-6 KOMATSU FG60T-6 LPG/Gasoline forklift. Spare parts catalog. Service Manual. 4156412 FG60T-7 KOMATSU FG60T-7 LPG/Gasoline forklift. Spare parts catalog. Service Manual. 4156413 FG70E-3 KOMATSU FG70E-3 LPG/Gasoline forklift. Spare parts catalog. Service Manual. 4156414 FG70T-5 KOMATSU FG70T-5 LPG/Gasoline forklift. Spare parts catalog. Service Manual. 4156415 FG70ET-6 KOMATSU FG70ET-6 LPG/Gasoline forklift. Spare parts catalog. Service Manual. 4156416 FG70T-6 KOMATSU FG70T-6 LPG/Gasoline forklift. Spare parts catalog. Service Manual. 4156417 FG70T-7 KOMATSU FG70T-7 LPG/Gasoline forklift. Spare parts catalog. Service Manual. 4156418 FG70T-8 KOMATSU FG70T-8 LPG/Gasoline forklift. Spare parts catalog. Service Manual.